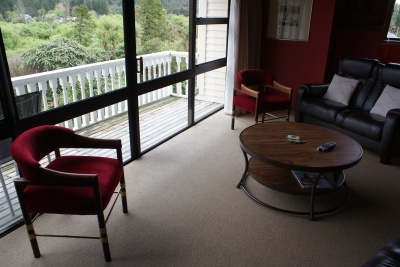 Guest lounge offers comfortable leather lounge suite, TV and kitchenette with biscuits provided and a range of teas, coffees, herbals and hot chocolate. 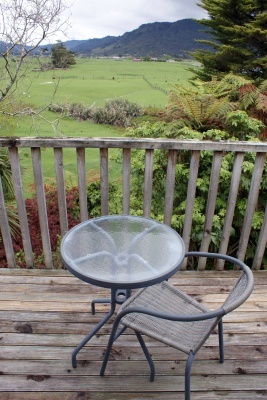 It has a balcony which overlooks the farm, to Greymouth beyond. Wireless internet access is available to check your emails. Relax in the spa with views over the garden to bushclad hills...massage - Relaxing, Deep Tissue or Sports and Holistic Pulsing by trained therapists (additional charge) ... tennis court for the more active...a sauna for further relaxation...enjoy a game of snooker...take a walk around the beautiful gardens...take a break. There is a golf course nearby, where clubs are available for hire. 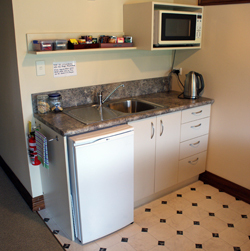 Then, not too far from Oak Lodge, you can enjoy the West Coast's wonderful attractions. Walk to the Coal Creek waterfalls (60 mins). 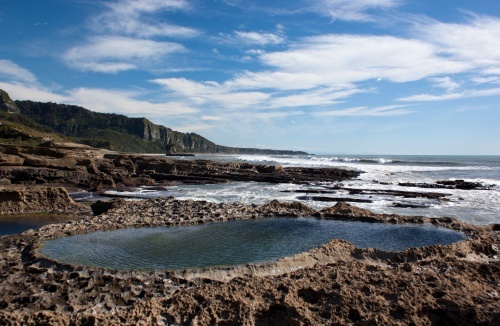 View the world famous "Pancake Rocks" at Punakaiki. Walk to Point Elizabeth for stunning views of the coastline (2 hours). Visit Shantytown to try gold panning and where New Zealand retells the inspirational stories of the hardy, treasure seeking immigrants who battled through the harsh conditions of the most challenging of the 19th century's great gold rushes. Catch the Tranz Alpine Train to Christchurch – a magnificent journey through Arthurs Pass. Courtesy pick up/drop off for Oak Lodge guests. Take a sea-trip to see dolphins and seals. Have fun and "go bush" with a quad-bike tour. Try the thrills of black water rafting and cave adventures. Tramp in the Paparoa National Park. Join a day trip with Kea Heritage Tours to enjoy the highlights of the West Coast and make your holiday one you will remember forever. Shirley and Alastair can also offer other suggestions and recommendations. This website is also filled with all kinds of things to do while you are visiting.